How do you turn a dark, humid semi basement into a vibrant space and a point of attraction for service consumers? Apparently, the answer lies in a combination of colors, planes and mirrors. 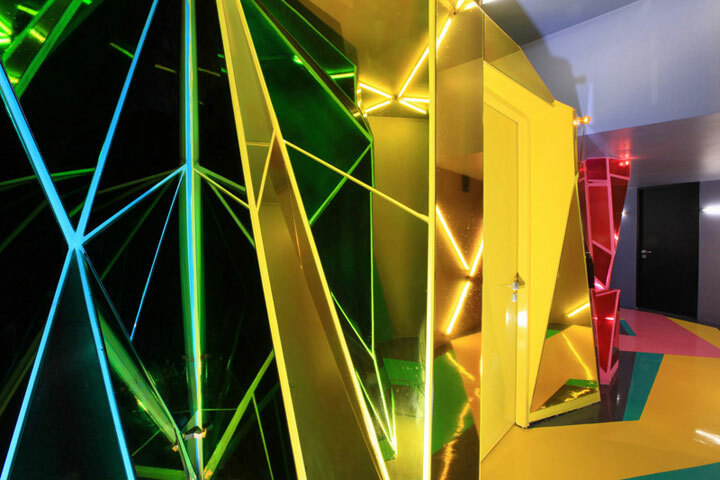 At least this is the formula that the architecture and design firm ROW Studio used to take a former parking area in a Mexico City building from a forgotten space to an interior that no one can accuse of shyness. While the initial basement did not look promising, the excellent location in the upscale neighborhood of Polanco did. 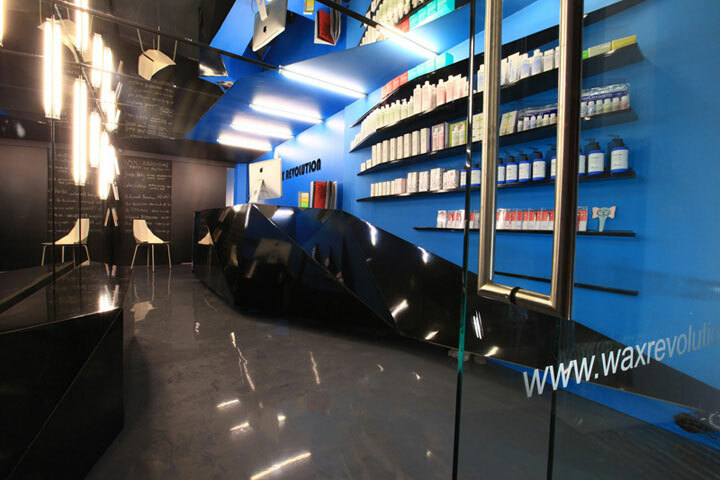 Wax Revolution, an epilation chain in Mexico, decided to take advantage of it and concluded that a daring design would speak volumes about the quality of their unique services. First, the designers looked for a way to take advantage of the heavy neighborhood traffic and catch the eye of the passers-by. This was achieved by constructing a metal structure of black steel frames that descends towards the entrance of the salon. Beyond this structure, the reception area already promises something special. 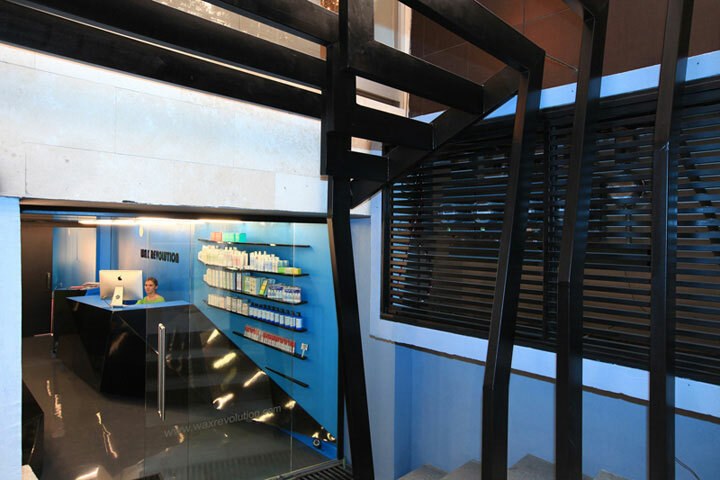 The black front desk set against a dark blue background is flowing in elongated geometrical shapes toward the entrance, taking the eye on a horizontal trajectory and making the low ceiling less conspicuous. Beyond the reception area, the linoleum floor uses bright colors to guide the customers towards the individual service cabins. 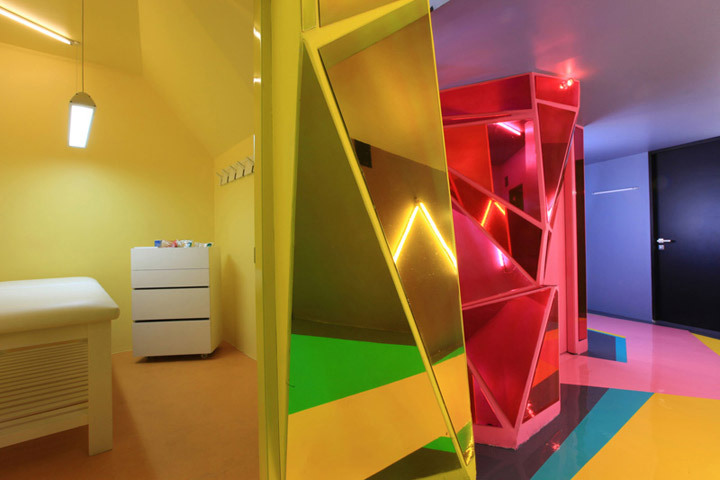 Each of these cabins is assigned a color, as a part of a cheerful sequence of vibrant tones. The geometry of the space is fascinating, with intersecting planes at different and unpredictable angles. 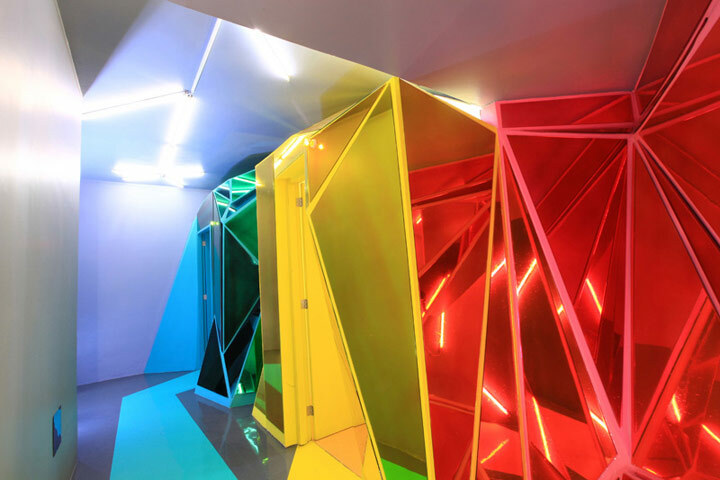 The rich visual result of this interior architecture is augmented by the use of colored mirrors, meant to take the attention away from the low ceiling and to give depth to an otherwise narrow space. Working together with the faceted planes, they create a unique, ever-surprising relief. 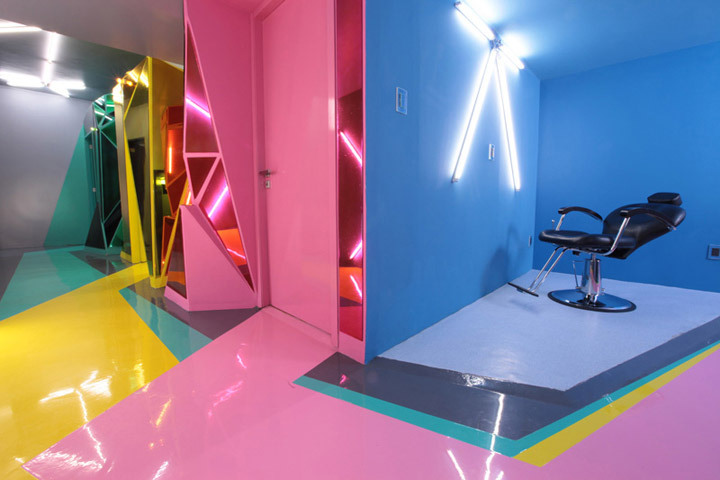 But it is the bright colors that define this space. Lively and fearless, they recreate the space on another chromatic dimension and breathe life into it. 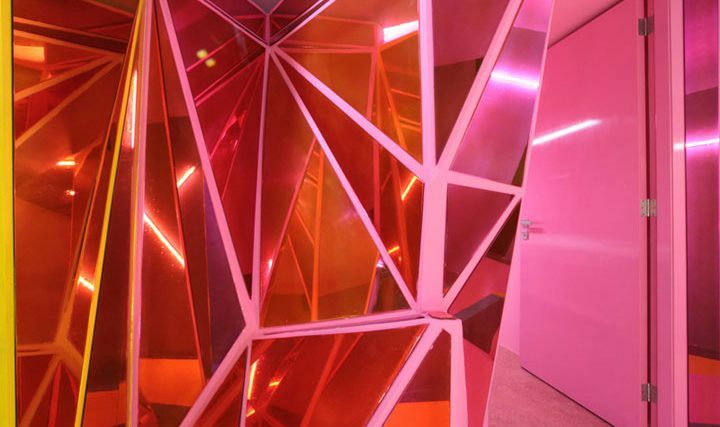 Combined with this dynamic collection of colors, the unconventional architecture of the interior keeps the eye busy and the need for visual stimuli satisfied.